Available in all sizes in 2 to 6 part sets, Standard & Non-Standard color sequences. Short run snap sets, wrap around books, and complete bindery options. 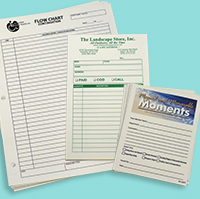 All popular and custom sizes available, and in any sheet counts. We have a large variety of paper stocks. Special backer alternatives are also available. We have a large selection of national brands, styles & colors in various weights. Scoring, perforating, numbering, folding, collation & stapled sets available. 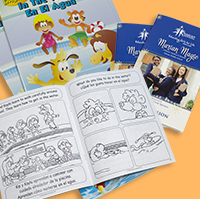 We are able to print most popular and custom size saddle stitch books. Various stock options available for cover and insides. Lippmann Printing is your top source for quality printing and graphics services. Centrally located in St. Louis, Missouri; we are a Black & White, 1 & 2 PMS Colors, and 4 Color Digital printing facility to the trade. 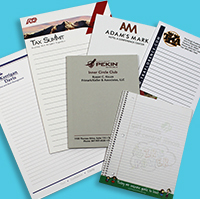 Since 1995, we have specialized in edge-glued carbonless forms, cut sheets, notepads, and saddle stitch booklets. 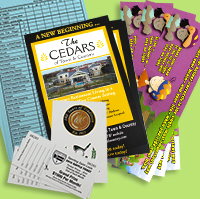 We also specialize in Print on Demand (POD) programs.